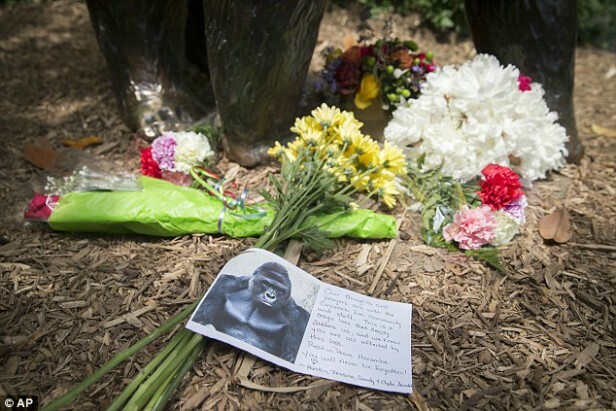 The Whole World Wonders: Who’s to Blame for Harambe’s Death at Cincinnati Zoo? There was a real drama going on in the Cincinnati Zoo this weekend. 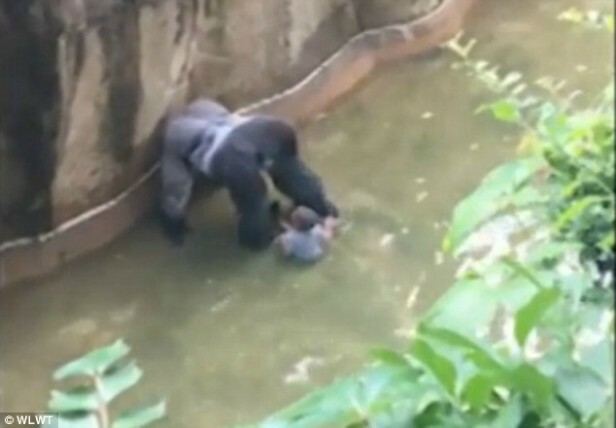 A 4-year old boy slipped into the gorilla’s enclosure. The 17-year old silverback gorilla named Harambe carried the little boy for 10 minutes in his habitat when the animal response team decided to shoot and kill him in order to save the boy’s life. Harambe was shot dead and the little boy was taken into hospital for a check up. Animal lovers from all around the world are questioning whether the western lowland gorilla who’s endangered had to be killed and who’s to blame for his death? 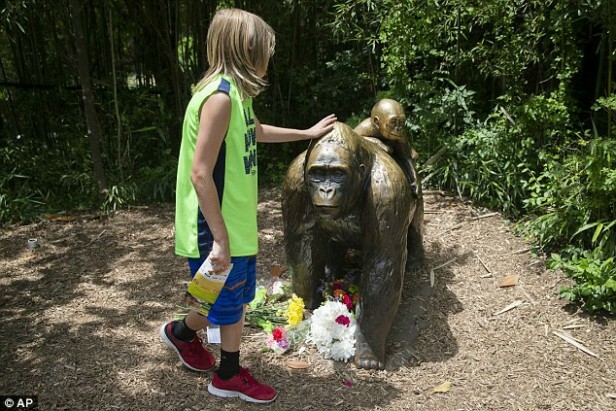 The director of the Zoo, Thane Maynard explained that the boy was in a life threatening situation and that the team had to shoot the 400 pound gorilla Harambe. “We’re talking about an animal that’s over 400 pounds and extremely strong. So no, the child wasn’t under attack but all sorts of things could happen in a situation like this. He certainly was at risk,“ said Thane. It was the first time ever that the zoo team had to kill an animal and they are devastated by the situation and losing Harambe. “They made a tough choice but they made the right one because they saved that little boy’s life,’ Maynard said. Many people claim that Harambe didn’t have to die since it didn’t look like he was going to hurt the child. If you type #JusticeForHarambe on social media, you can find a lot of angry comments. Some people even wrote that the ones to blame for the gorilla’s death and the whole situation are the child’s irresponsible parents. More than 60.000 people signed a petition where they ask the child’s parent to be held responsible for Harambe’s death. You didn’t have to kill him! Wtf the boy doesn’t seem to be in any particular harm. 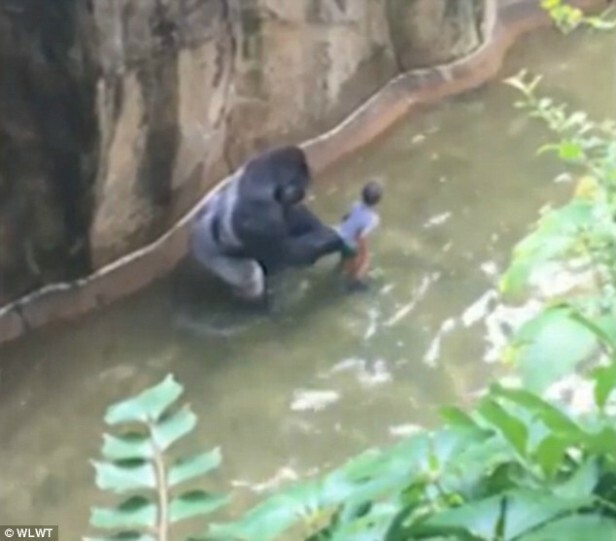 If the gorilla had actually wanted to harm the boy then it would have been easy to. Injustice! Humans are such creatures who even capture species claiming to want to save them but instead it’s like a cage where the animals can’t have the freedom that’s necessary. The gorilla seemed lonely in that enclosure, maybe he just wanted a friend.